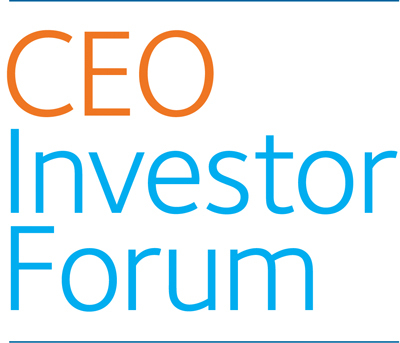 CECP’s Strategic Investor Initiative (SII) is hosting the sixth CEO Investor Forum on February 25th, 2019, from 12:00 PM to 6:00 PM at The Park Hyatt in New York City. To date, nearly 30 CEOs have presented their company’s long-term plans, which are groundbreaking presentations between a CEO and leading institutional investors, focused on growth, strategy, and risk. Together these companies which represent over $2 trillion in market capitalization have presented to audiences of institutional investors that represent over $25 trillion in assets under management. 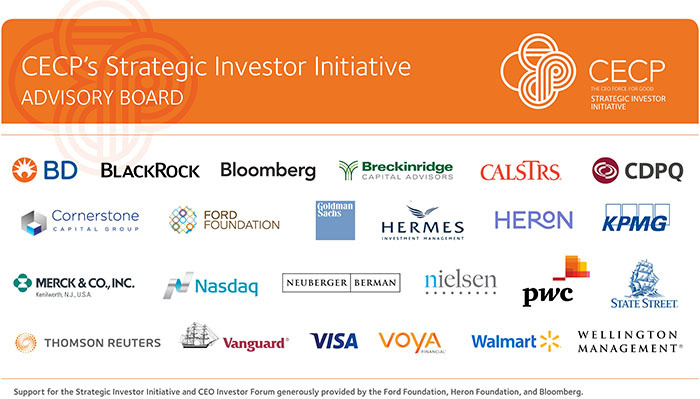 As the Strategic Investor Initiative enters its next phase of work, the in-person CEO Investor Forums will now be exclusively offered to a targeted group of investors like yourself who can bring scope, scale, and commitment to this effort.